If you read Part 1 of this article, The Internet of Things (IoT), Part 1: What Every B2B Business Must Understand, you know that the Internet of Things (IoT) is here to stay. An entire IoT ecosystem is developing that integrates the consumer, business, and government sectors. You know that 94% of your customers want insight selling, which you can provide them by mastering the IoT. You see the short-term potential for your company in a $13 trillion growth industry where 70% of the value is generated in the B2B space. And, you don’t want to be a late adopter playing catch-up in a face-paced, data-driven digital marketplace. If you read part 2 of this article, The Internet of Things (IoT), Part 2: Leveraging the IoT for Subscription Businesses, you know that you can grow your recurring revenue by working with existing customers to help them develop IoT models for their existing products and services. Rolls-Royce, MTailor, and STYR Labs provide models that may help you help your customers in bridging the IoT Subscription Business services gap. You can also build business relationships with businesses that already use IoT and help them develop subscription models for their existing products and services. Peloton is one example of a company poised to earn $60 million in subscription revenue from $300 million in product sales. 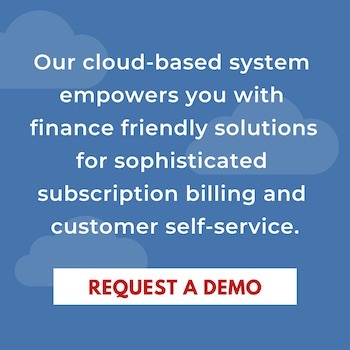 But, do you really understand the power of harnessing subscription billing plus the IoT? There are four core advantages of an IoT plus subscription services model you need to understand. This will help you grow your business by effectively selling it to new and existing customers. You’ve probably heard about the benefits of Emotional Intelligence (EQ). People with high EQ know how to build strong relationships. They are in control of their emotions, calm in a crisis, and make good decisions even when under stress. They know how to read others and what to say to make someone feel better. They know how to inspire others. Curious about your own EQ? Take this 15-question quiz on Mindtools. However, as important as EQ is, we live in a data-driven world. Forbes reports an astonishing 94% of B2B decision-makers are now seeking out sales teams that exhibit specific insights into their company’s problems. A LinkedIn survey revealed that B2B customers are five times more likely to engage with a company whose sales team offers new insights into their business. In today’s fast paced, global marketplace, the IoT is a powerful source of data meaningful to your customers. So, for today’s busy decision-makers, building trust with prospective customers and maintaining trust with existing customers necessitates EQ plus the ability to provide customer insights. Using the IoT and its powerful data capacity within your subscription billing platform gives you access to real-time data that can help your sales team more effectively target leads, personalize communication to individual customer avatars, and close sales. It can help you engage existing customers, cross-sell, and upsell in ways that will tell customers you understand them and their business goals. Gone are the customer surveys and focus groups of the 20th century. With the explosion of the number and types of IoT-enabled devices comes an exponential increase in real-time data. Companies can track when, where, how, and for what purposes customers use their products. This allows for rapid response in product improvement that meets customer needs. And, these devices often come with the ability to engage the customer in a two-way conversation, opening the possibility to co-create products with your customer base. This approach mirrors the popular strategy in the start-up world of the “minimally viable product.” A minimum viable product (MVP) is a product development technique where a product or platform is launched with just-sufficient features to meet the needs of early adopters. The final, more complete set of features is designed and developed using data and feedback from the product’s initial users. Zappos, Uber, and Dropbox all started as MVPs. Better understanding your customers, and your customers’ customers, will open new insights into efficiencies and opportunities for an IoT Subscription Business-based revenue. Entrepreneur reports that businesses lose 20% to 30% of their revenue every year due to inefficiencies. This revenue loss comes from workplace silos, poor systems integration, bottlenecks, redundancies, lack of insight, and loss of operational performance. Streamlining your business and helping your customers streamline their businesses frees resources that can be redeployed into building market share. It builds trust and credibility with your customers. And, for your customers who are positioned to take advantage of new subscription offerings or to expand existing offerings, you build brand loyalty by being the company that helps build their revenue bottom line. The hallmark of today’s global marketplace is hybrid products, services, and business models. Many industries that have traditionally not used a recurring revenue model or subscription service are entering into this market niche. Rolls-Royce is a prime example with their Total Care Program that rents jet engines, charging a fixed dollar-per-flying-hour fee. The Nest Learning Thermostat, the most popular smart thermostat on the market, is another example. Nest uses sensors to monitor people’s daily activities; it can also be controlled remotely on smart devices. The company claims that it pays for itself in two years. Birthed in the B2C market, Nest is now using the data it collects from consumers to offer energy management services to utility companies across the United States. Utility companies have access to micro-targeted, real-time data on a paid subscription basis. They are better able to tailor their services to local users and to encourage energy-efficiency. In fact, many of Nest’s utility partners offer free or discounted Nest Thermostats to their customers. 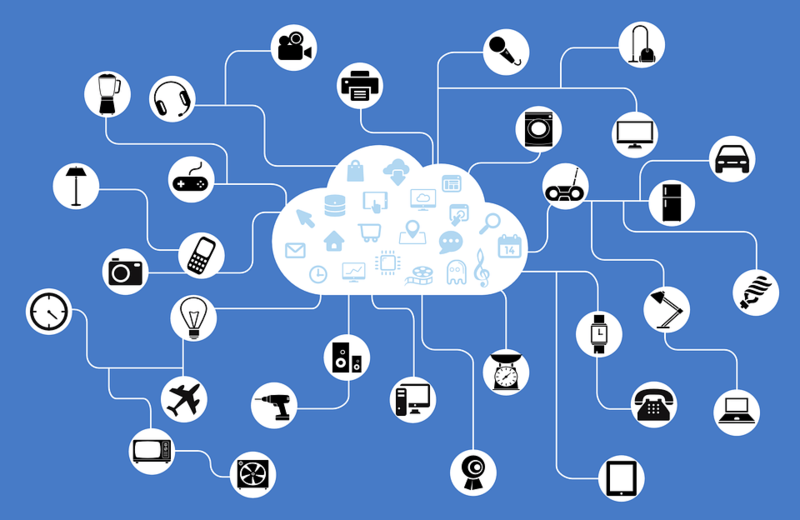 Are you excited about how the IoT can accelerate your subscription business success? Give one of our BluSynergy sales consultants a call at 731-INVOICE (731-468-6423).